I don’t know why we put this off for so long. 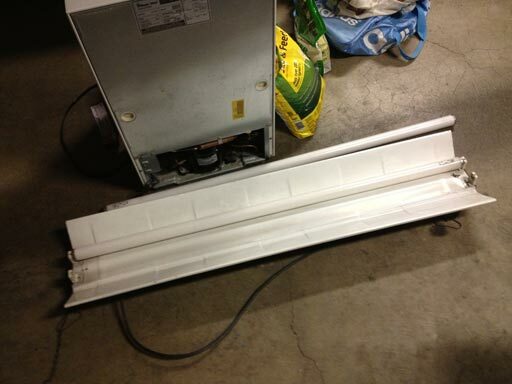 The two fluorescent lighting fixtures that came with our house’s garage are crap. One of them is just completely dead, and as if to add insult to injury it randomly pooped out its bulbs onto our car parked underneath it a few months ago (which was super fun to clean up). It was Dad who got the inspiration to replace these lights on his most recent visit. He just climbed up the ladder, disconnected the broken one, and proposed a trip to Home Depot for replacement fixtures. 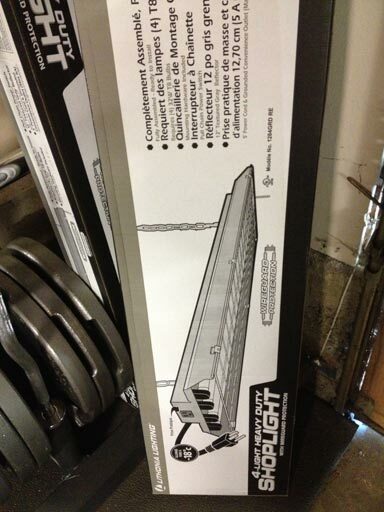 To two of these awesome ones (with cages, so no more lightbulb pooping). In case you haven’t guessed, “Heavy Duty” is our favorite phrase. 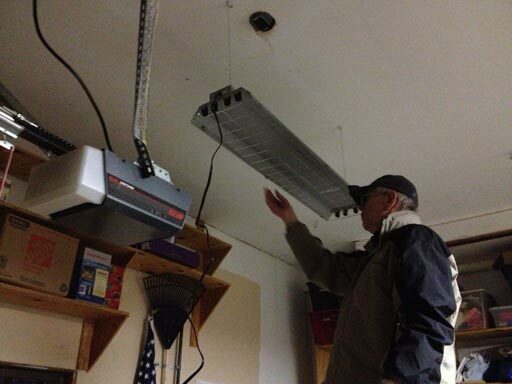 Here’s Dad after hanging one of the fixtures. 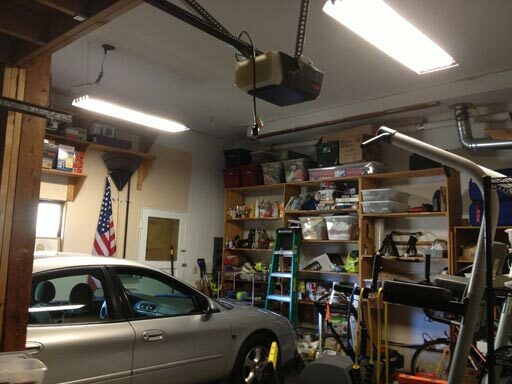 Here’s our glorious after: a well-lit garage, lightweight lamps, bulbs safely behind cages. This project is a classic example of us letting a simple project intimidate us into not doing it. We thought working overhead on lighting fixtures would be difficult, if not outright impossible. We had no idea how easy this could be!